Long time no hear! 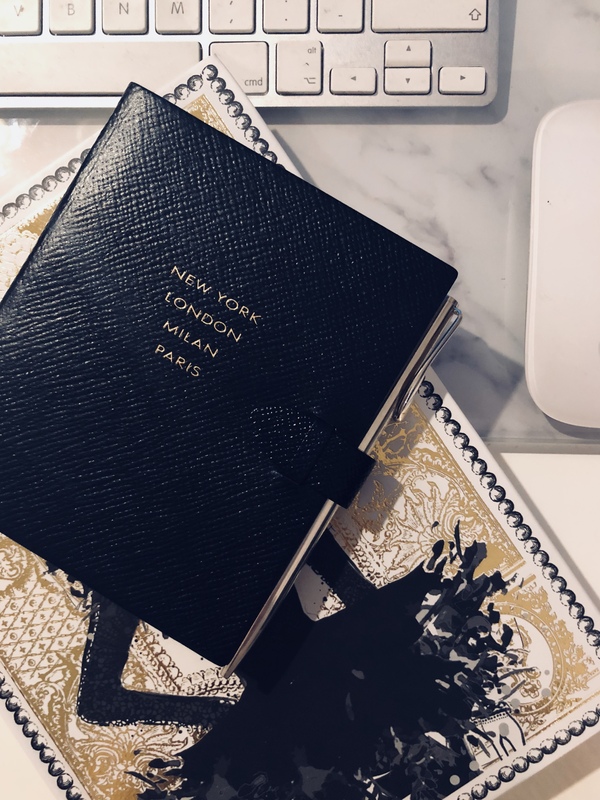 Life gets in the way of blogging sometimes and because I regret being so absent, I’m back with a quick #HowToSpendItWithTSF. 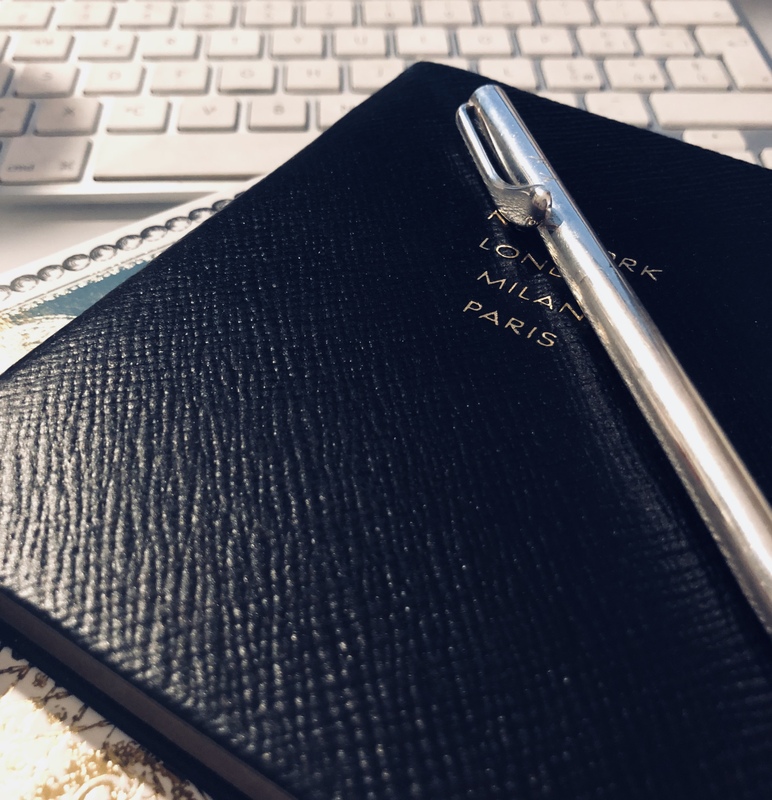 I love writing and making endless to-do lists – and despite being a tech lover, I combine my love for iPhone and digital notes with paper diaries that still give me a real, tactile impression of actually tackling my lists. Can you think of anything better than the feeling of vehemently striking off those hard-achieved chores to move proudly onto the next item? As the official website reads, they are rooted in deep heritage, representing over 130 years of British luxury leather goods at their most refined, with an enduring dedication to unrivalled craftsmanship. 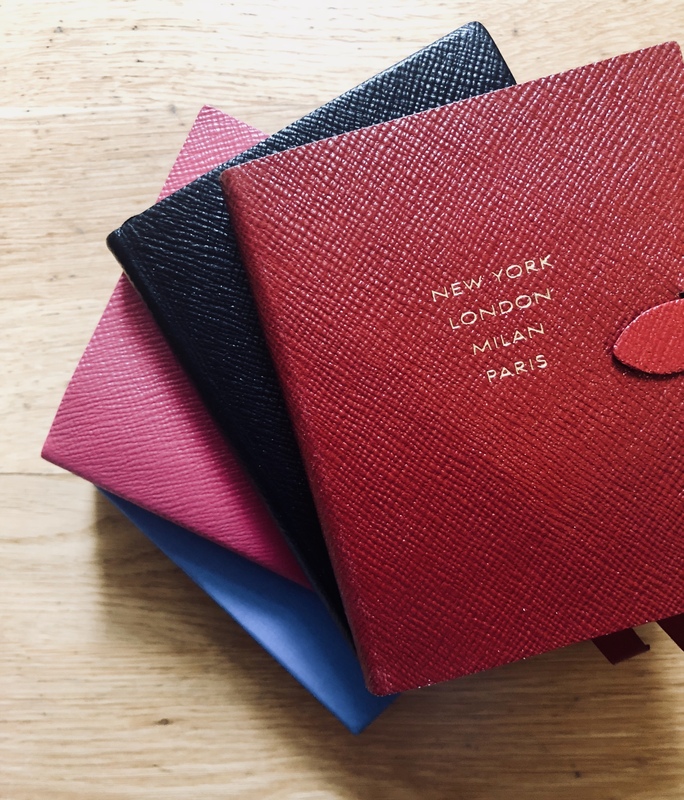 Smythson has long catered to the highly discerning, from European Royalty and the Indian Maharajas to the likes of Grace Kelly, Katharine Hepburn, Claudette Colbert and Vivien Leigh. Influential figures, leading extraordinary lives, from Sigmund Freud to Sir Winston Churchill, recognised the timeless appeal of their creations. 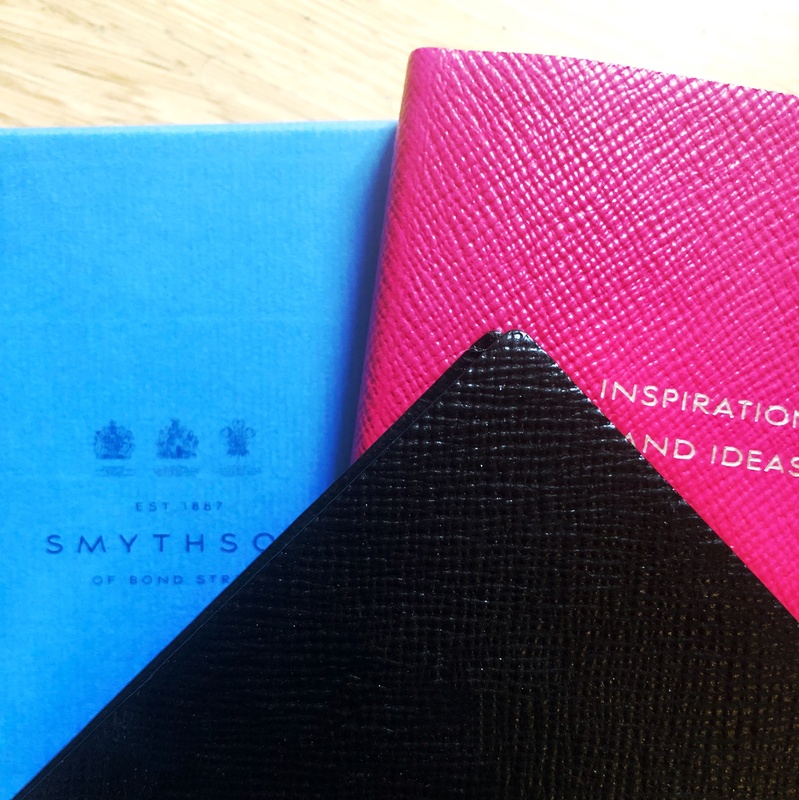 To me, Smythson physical stores are an airy architectural testament to beauty, so full of unwritten knowledge waiting to be created, rich in luxurious leather and silent opulence, all wrapped up in hand-made, gold and silver personalisation (and you know, I’m guilty of loving everything custom or initialled…). 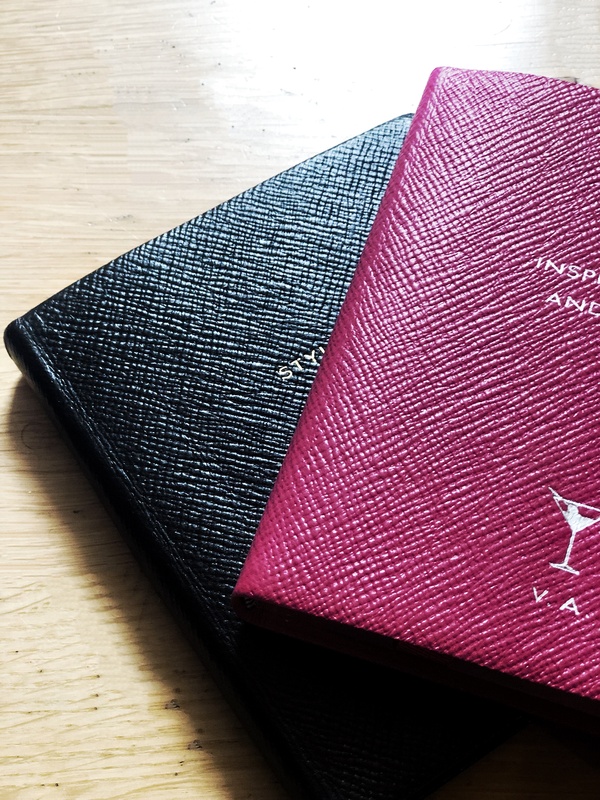 While I don’t use diaries per se – I’m a fan of iCal and I hate having to retire them every year… – I am obsessed with notebooks and little booklets that I can carry everywhere. As an interpreter, along with lists I constantly write down notes and words and info on and for my clients, during meetings when I’m working. So this is just the perfect match for me. And if you have £50 to spend, use it to splurge on a luxury Smythsons diary that happens to also be the cutest & the classiest notebook you can ever dream of. They come is several colourways and many sizes – from super small and affordable – to large A4 until special formats and purposes. I’ve got many but I just got a new one in pink… and I love it.